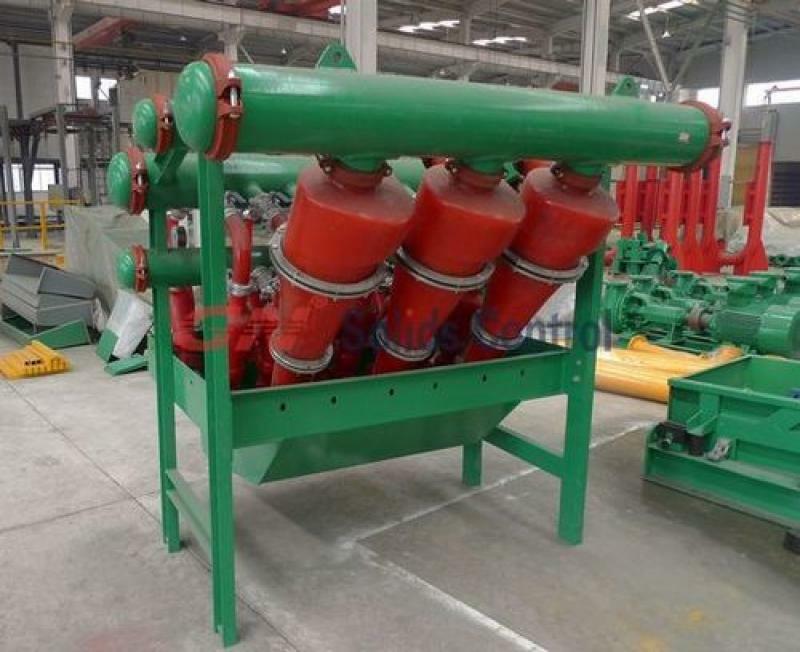 Hydrocyclone Desilter for drilling fluids is the 3rd stage solids control equipment for drilling fluids recycling system. Desilter utilize smaller size Hydrocyclone to separate smaller size solids. 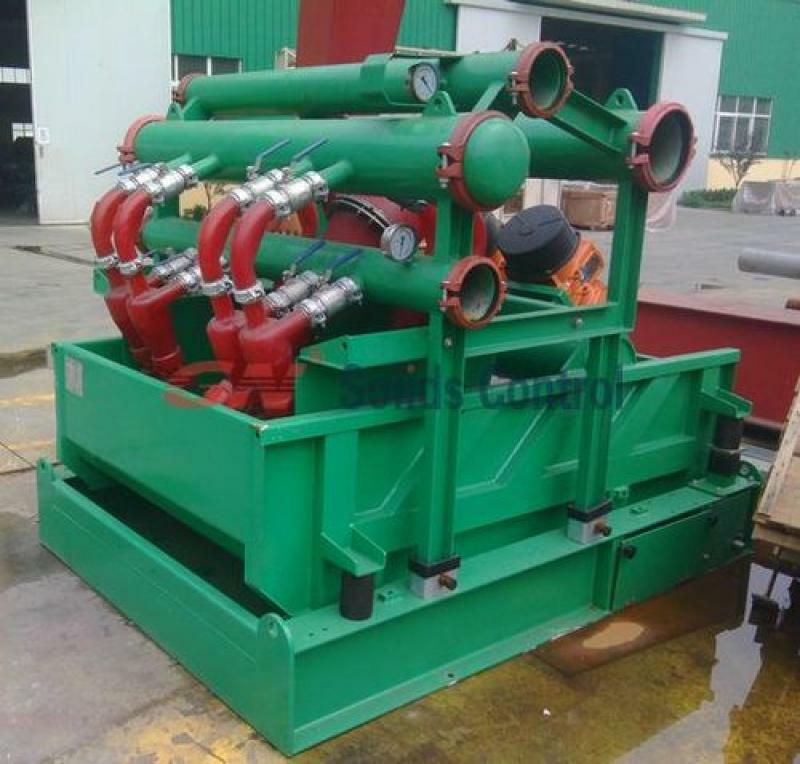 Usually, 4 inch hydrocyclone used for drilling fluids desilter. 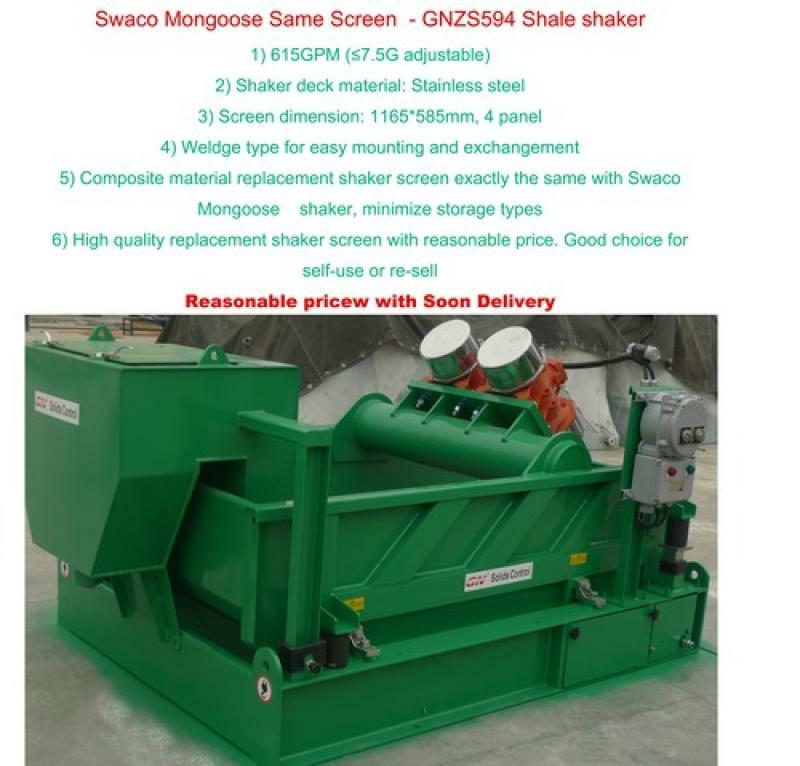 It can remove drilling solids size over 27 microns. Quality of hydrocyclones combined desilter various from 4 ea to 20 each, to get different treating capacity. GN desander for drilling fluids recycling is the second class solid control equipment to treat the drilling fluids from rigs. According to the size of the cone diameter, it can separate solids with different size. For oil and gas drilling, for HDD, CBM field, 10 inch cone is most probably used. For microtunneling , usually bigger size desander need to be used: 12 inch, or even 20 inch. Desilter is the 3 phase equipment in drilling fluids cleaning system. 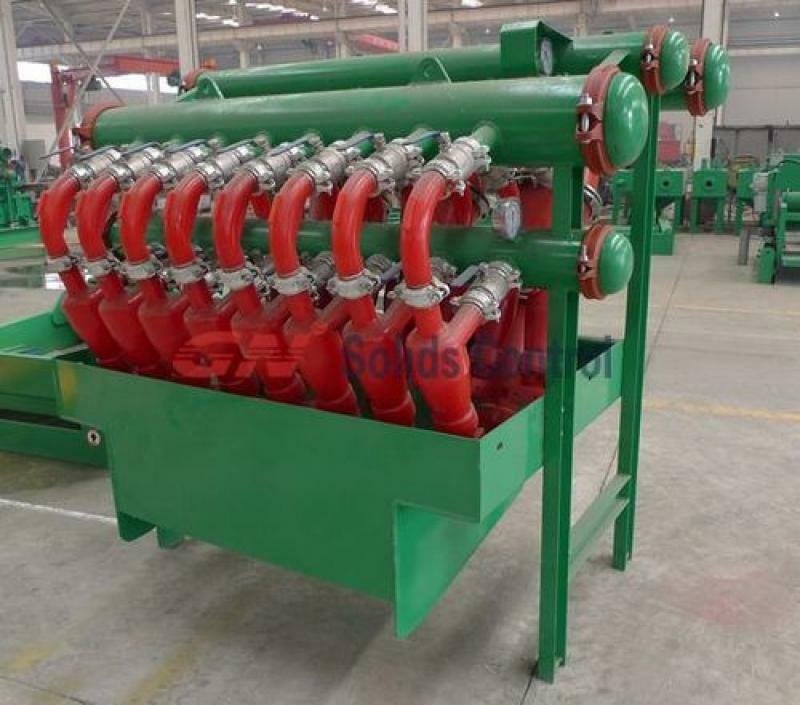 Drilling fluids desilter can be used in oil and gas driiling, in DHH, in mining field. It is usually used after desander. Mostly 4 inch in size. And the desilter cone qty can be choose from 4 ea ~ 20 each. Per different application. It 4 inch desilter drilling fluids machine can separate driiling solids above 27 microns.